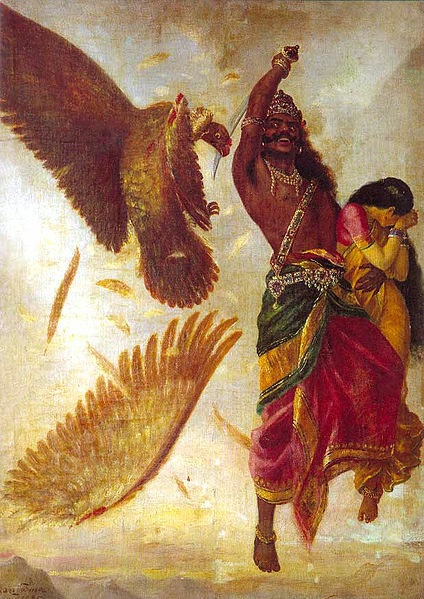 Raja Ravi Varma (April 29, 1848 – October 2, 1906) was an Indian artist who is known for his oil paintings based on Ramayana and Mahabharata. He is one of the most popular artist and his paintings are treated as the perfect example of blending Indian customs with European art. 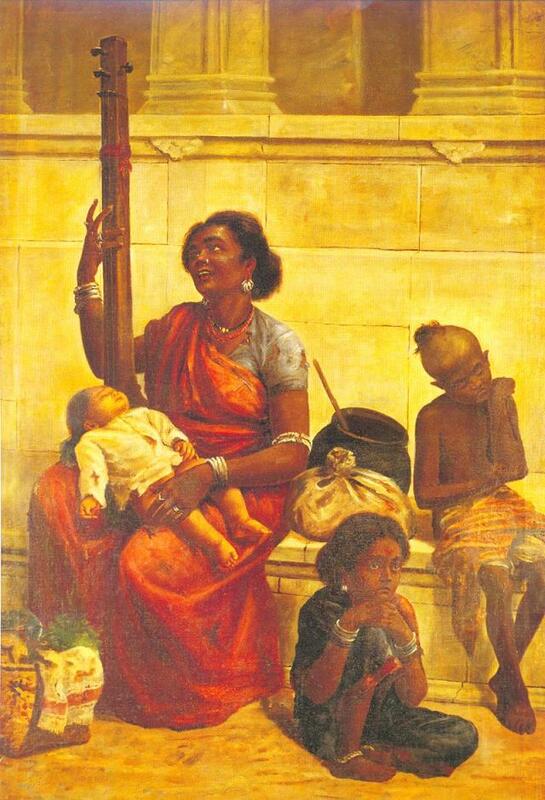 He played an important role in popularizing the artistic talents of India in an international level. After winning the first prize at the Vienna art exhibition (1873), he became popular in the west. 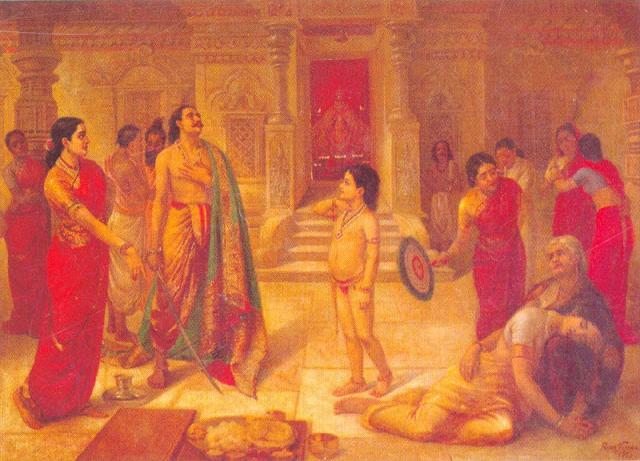 In the Indian art history, he is considered to be an influential artist with higher position. 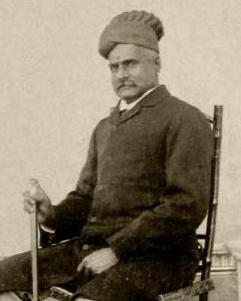 He was born in Thiruvananthapuram, Kerala in 1848. He received expert training in art during his early ages. 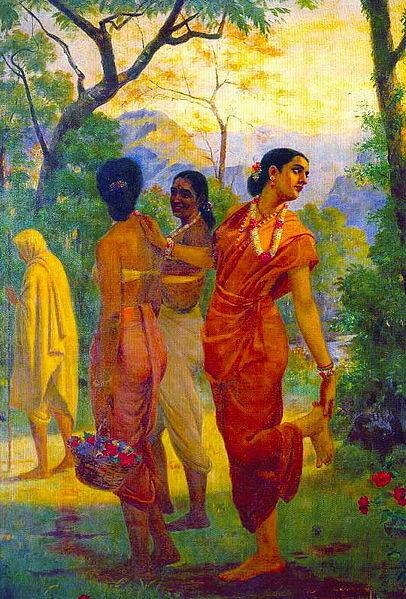 He studied Thanjavoor art as well as the European techniques. 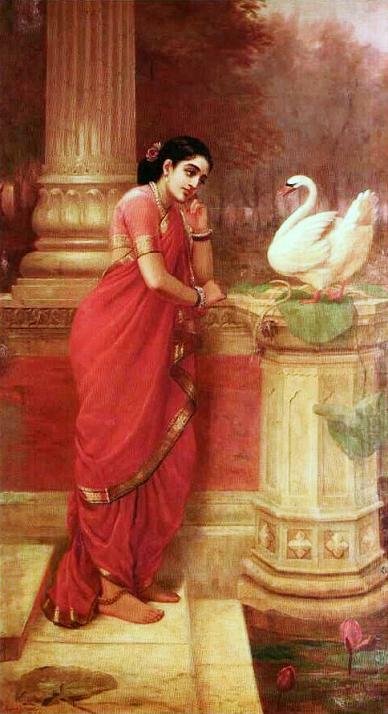 Famous works– Shakuntala, Nair Women, Romancing Couple, Damayanti Talking to a Swan, Mohini and The Heartbroken. His works can be classified into 3 types- Portraits, paintings based on Portrait and Compositions based on myths and legendary characters. 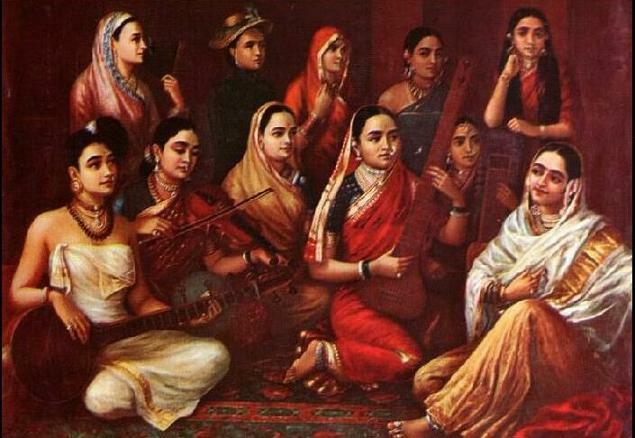 Most of his paintings covered sari clad women in unique style. He was trained in oil painting by the Dutch portraitist Theodor Jenson. 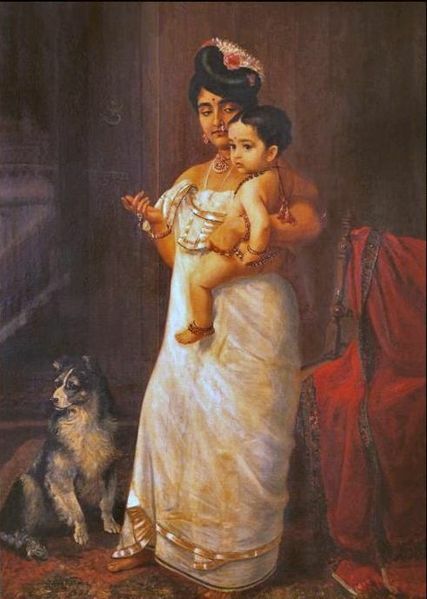 Ravi Varma is considered as a modern artist among traditionalists as he tried to bring modern techniques into traditional subjects. On the other side, he is considered as a rationalist among modern artist! He was fond of traveling and he visited several places in India to explore new subjects. 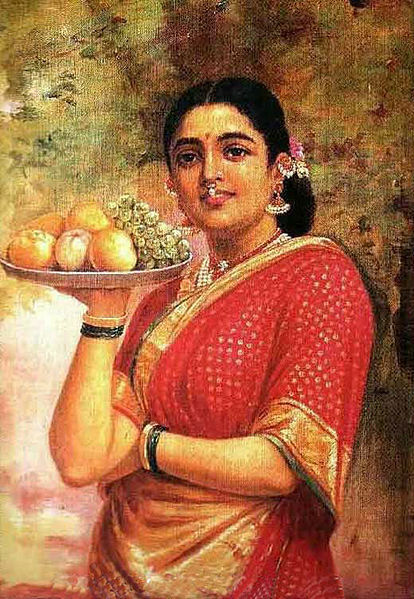 Lady with fruits, Shakuntala, Mohini, Sita and Nair woman are among the famous paintings of Ravi Varma. He portrayed women in a graceful and unique manner. The use of colors and depth of topic is amazing in most of his paintings.